Kandee G – Current Issue is HERE! The Nothing But Good News Magazine is offered free and can be read online or printed out for your convenience. Click here to see view the magazine and previous editions also. 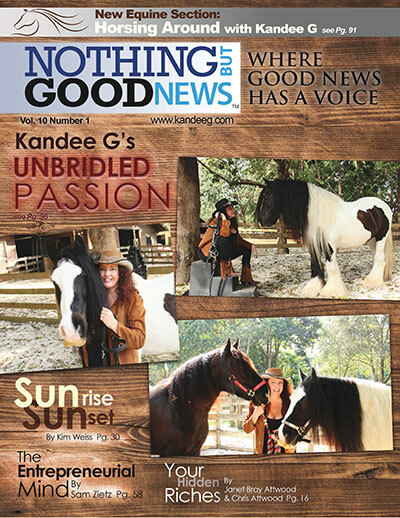 The Current issue of Nothing But Good News Magazine is available for your reading pleasure! The Current Issue of Nothing But Good News Magazine! Copyright 2015 Kandee G Enterprises. All Rights Reserved.